I get a lot of requests asking the best way to get started with BeerSmith. I’ve written this post, not as a comprehensive guide, but as a way to help you get up and running with BeerSmith. Please bookmark it and share it with your friends – even if you are an experienced user. You can download a free 21 day demo of BeerSmith from our main download page at BeerSmith.com for Mac, PC and Ubuntu Linux. Installing on the PC is simply a matter of running the installer after download. For the Mac, you open the DMG file you downloaded and drag the BeerSmith application to your Applications folder, then run it from Applications. For Ubuntu, a Debian package is available which you can open in the Ubuntu package manager. If you decide to purchase BeerSmith after your trial, you will receive a registration key which you can use to activate the program (Help->Activation if you have the program open). One of the best places to start is our video page – these are short videos of a few minutes each that explain how to do the most common features. Additional help is available through our embedded help – just press the small help button on any dialog or page to view the help for that item. Also if you mouse over any field, a short description of it will be displayed. The Help tab on the ribbon has links to the full help index as well as our discussion forum where literally thousands of questions have been answered already. The numbers you get out of BeerSmith are only as good as the ones you put in, so setting up an equipment profile that matches your brewing style and equipment is a critical first step. I have a video tutorial on how to do it here. The basic process is to go to Profiles->Equipment and create a new record either by copying an existing one or adding a blank one. Next fill in your volumes and losses. If you are an extract brewer, you need only be concerned with the bottom half of the dialog (boil and fermenter). All grain brewers need to set their brewhouse (total) efficiency as well as Mash tun volumes and details. Hop utilization should stay at 100% unless you are brewing batches over 20 gallons. Once you have it set up, using it is simply a matter of choosing it in your new recipe. You can also set it on a permanent basis as the default using the Options->Brewing tab by selecting it as your Equipment profile in that dialog. Once you have the equipment set up, go to My Recipes and click on the “Add Recipe” button on the home ribbon to create a new recipe. Set your equipment profile for the recipe to the one you just created, and make sure the recipe type matches your brewing style (all grain, partial mash or extract). Next I usually will select a style I’m targeting in the “Style Guide Comparison” section. Choose from any style in the BJCP style guide. After you’ve done this, you can start adding ingredients by clicking on the various add buttons next to the ingredient list. As you add them, you’ll be shown the estimated color as well as bitterness, abv and original gravity. These will be displayed on a scale relative to the style guide so you can see how you are doing. At the bottom of the recipe design tab you can also set your mash profile (mash schedule), carbonation method to use and fermentation profile. For most brewers, one of the stock profiles is fine though you can customize these later if desired. On the bottom right of the design tab you can see a “Select fields” button – which lets you customize the fields displayed here. This is useful if there is a particular recipe parameter you want displayed such as the bitterness ration while designing the recipe. The design tab actually has all you need to finish your design – so you can save your recipe and then select the “Brew Steps” button on the Home Ribbon to show step by step instructions on how to brew the recipe you just created. If you print this out, you have a step-by-step guide for brewing your new recipe. You might also want to check out the new “timer” tab in BeerSmith 2.1. Open any recipe and click on the timer tab at the top of that recipe to view a countdown timer and instructions for both the mash/steep steps and the boil steps. You can use your laptop on brew day to view this timer and it will play an alarm as each new step is reached. If you are new to designing your own recipes, you may find the thousands of recipes available on BeerSmithRecipes.com handy. If you create a free account on this site, you can search and download any of thousands of recipes in BeerSmith 2 format as BSMX files. These you can open using the Open command in BeerSmith, and then copy/paste the ones you like to My Recipes if you want to store them permanently. You can also share and publish your own recipes, and gold members (or higher) can also download directly to their cloud folder in BeerSmith as well as store archived copies of all edits. See the overview here for more on how to use this site and a tutorial on finding and downloading recipes. BrewWiki.com – a user built Wiki I started in 2005 – tons of info here as well! That should be enough to get you started! Thanks for tuning in and be sure to sign up for my newsletter or listen to the podcast when you get a few minutes. Thanks for such a great product. One reminder – any plans on adding a search capability for the recipes like in the earlier version? Sure makes it easier to go back and see how each addition of chocolate (e.g.) was handled and the varying results; salt additions lowering mash pH etc. Again, thanks for a wonderful tool. Yes I’m adding this in to the next minor update. 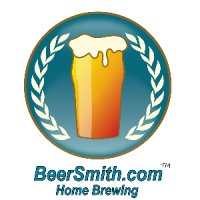 He leido Getting Started with BeerSmith 2.1 | Home Brewing Beer Blog by BeerSmith con mucho interes y me ha parecido ameno ademas de bien redactado. No dejeis de cuidar este blog es buena.